The magazine Ode: for intelligent optimists asked 25 people-Hollywood actors, prominent politicians, scientists, authors-to nominate their favorite Intelligent Optimist, a person who isn't famous but should be for his or her work to create a better world. 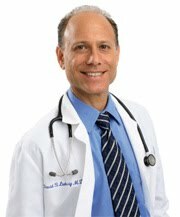 Michael Pollan interviewed obesity expert David Ludwig, who Pollan describes as a pioneering researcher, clinician and writer. Pollan chose Ludwig because he believes that Ludwig is making a difference in the fight against childhood obesity. His work on the role of soda has shifted the debate and made the once-outrageous notion of a soda tax an idea being considered by Obama and other policy makers. To view the entire article about the interview, click here.